Throughout winter, conservatories in the UK frequently become ‘no-go areas’ due to their high rate of heat loss, their doors often remaining sadly shut for the most part of the season. This is a great shame on a number of levels: not only have you spent a lot of money building this lovely additional room to your property, but you’re also missing out on a time when your garden can look particularly picturesque covered in snow and frost. The main barrier for enjoying your conservatory during winter is the difficulty in keeping it warm, but what can you do to improve its heat retention? There’s a lot of confusing information about how to heat conservatories – especially if you’re considering extending your existing central heating system – which is mainly due to regulations around heat loss within the home. 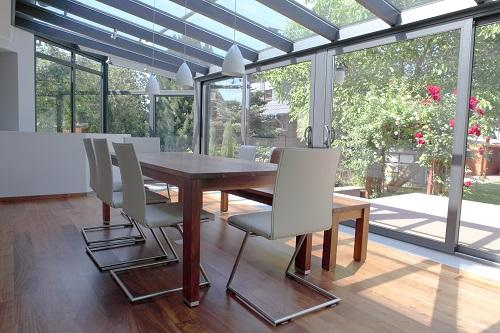 A conservatory must be thermally separated from the building it’s attached to (i.e. separated by external quality walls, windows and doors) and it must have a heating system that can be controlled independently from the rest of the house. Conservatories are not considered permanently habitable rooms and are on par with a lean-to or a greenhouse, so if it’s permanently heated along with the rest of your home’s central heating system, it’s essentially an extension and subject to the same building regulations. 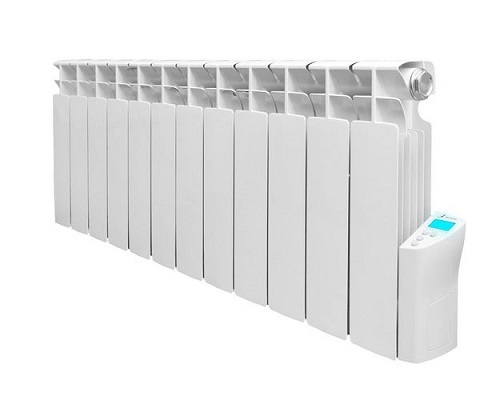 You may be able to extend your central heating pipework, but any radiator installed within the conservatory must be controlled separately to the rest of the system. Making sure your boiler will be able to cope with the additional load is also vital, as a new boiler can add to the already substantial costs of adding new pipework. If you’re determined to go down this laborious route, always consult your local council beforehand to ensure you’re complying with their specific building regulations, and get a professional assessment of your system. A quicker, cheaper and simpler option is to fit a conservatory electric radiator – or if you have no available wall space – purchase a free-standing model. Operating entirely independently, electric radiators offer a reliable and quick source of heat for any conservatory. If you have a dwarf wall, there are even models that are designed to fit this low wall space to provide an effective, unobtrusive heating solution. The high volume of glazing in conservatories is what makes them so difficult to heat as most heat is lost through the glass. High output electric radiators that utilise dry stone elements are a great solution for combating this as they are able to heat with a greater intensity that many other models. The ceramic elements are also fantastic at retaining heat, meaning they need less energy to maintain the desired temperature, and are also slow to cool down for long-lasting warmth. It’s common for many conservatory users to rely on portable fan heaters to get their conservatories warm quickly – this is fine, but only if used sparingly. Portable convection heaters are a sensible option if you only use your conservatory occasionally – you’ll save money with the cheaper purchase price and won’t notice the higher running costs if used infrequently. There are other things you can do to make your conservatory a lot more welcoming during the colder seasons. Another main area of heat loss within conservatories is the floor and poor insulation will only make it more difficult to keep this area warm. Ensure your floor is as insulated as possible so that any heat is reflected back up into the room itself. If this sounds like a costly solution, there are other, cheaper ways to help your conservatory to be as warm as possible. Even a simple rug can help to put an additional barrier between you and the cold floor, helping to also act as an extra insulating later. A thick, shaggy rug will feel wonderfully sumptuous underfoot, but will also give your conservatory a cosier appearance. Keeping blankets handy in your conservatory is a fantastic method to fend off the chill of winter and are wonderful to snuggle up under as you watch the snowflakes fall outside. Finding the source of any draughts can assist in maximising heat retention in your conservatory, which can be a bigger problem in older constructions. Plugging these gaps is a cheap and effective way of reducing heat loss and will definitely help you to get the most out of your conservatory during winter. One final suggestion to lessen heat loss is to fit blinds which can help keep in the warmth in winter and protect against the glare of the sun in summer. Good quality blinds can be expensive, however, and if you already have an issue with damp in your conservatory, installing blinds could exacerbate this by hindering airflow around the glazing. This leads us nicely onto our next topic – the other enemy of winter conservatory use: condensation. Stay tuned for the second part of this feature in the coming weeks for ways you can tackle persistent condensation and reclaim the comfortable, inviting feeling of your conservatory.